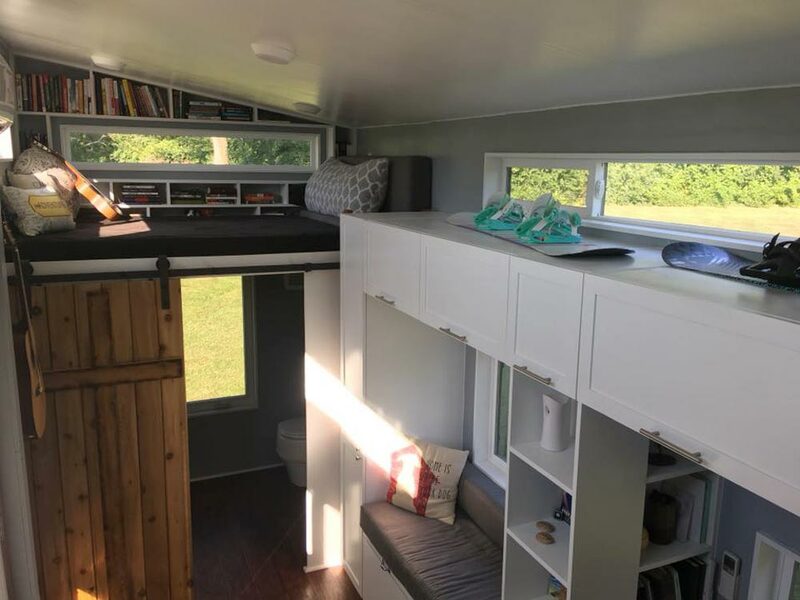 With two lofts and a full-size pull-out sofa bed, the Expedition by Maverick Tiny Homes can accommodate up to six people. 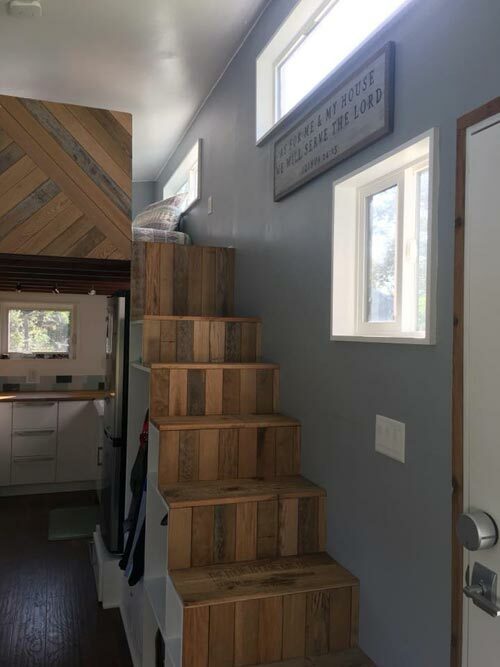 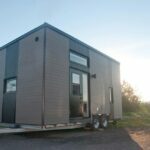 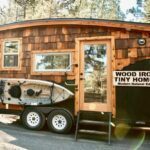 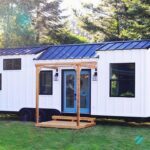 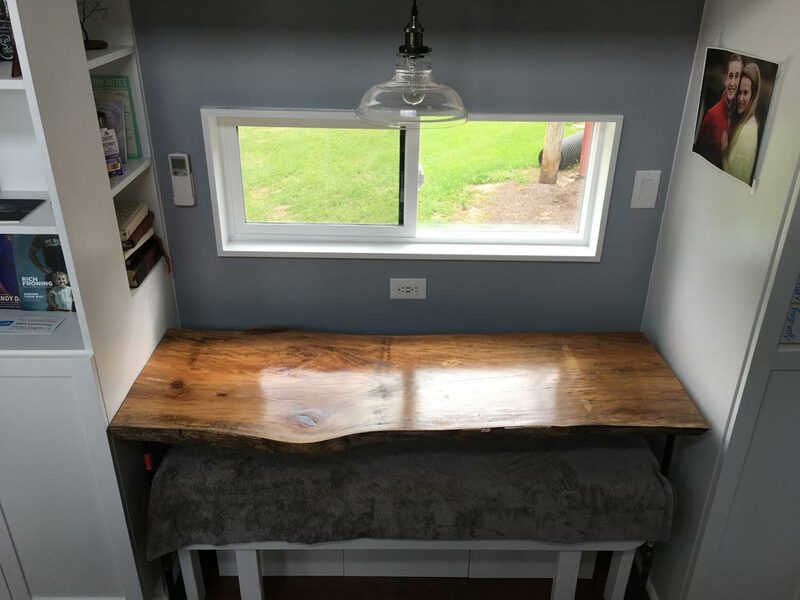 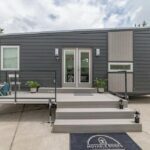 The tiny home is built on a 28-foot trailer and has 315-square-feet of living space. 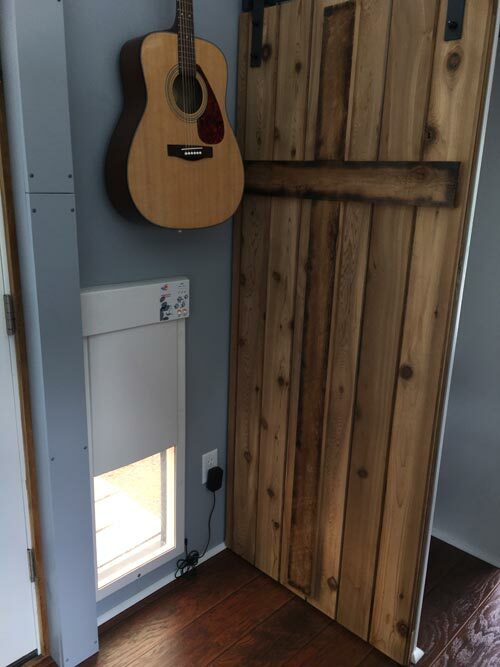 The exterior has a combination of wood and metal siding, a full light front door, and 13 Jeld-Wen windows. 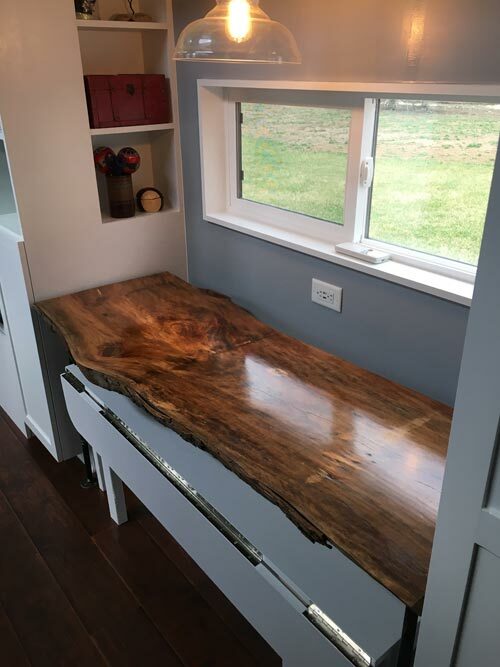 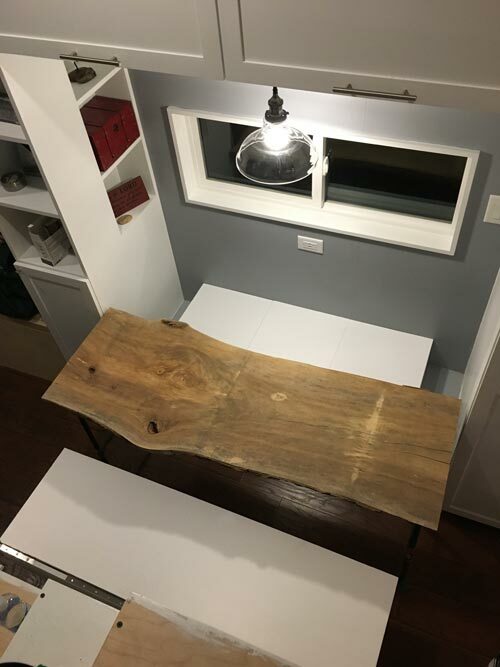 Inside the Expedition are several wood elements including a live edge sycamore dining table that seats six, stair risers and treads, a wood accent privacy wall for the master loft, and a cedar bathroom barn door. 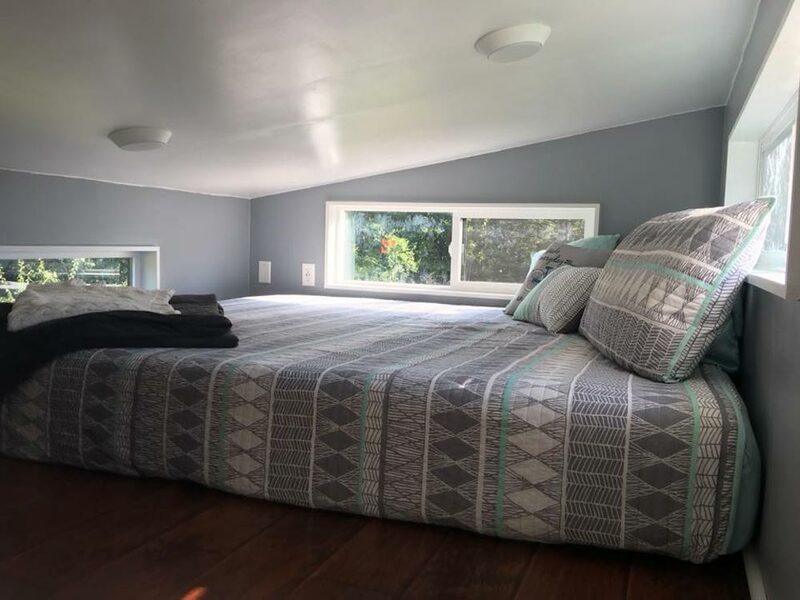 The master loft has a king size Tuft & Needle mattress, and the secondary loft has room for a full size bed. 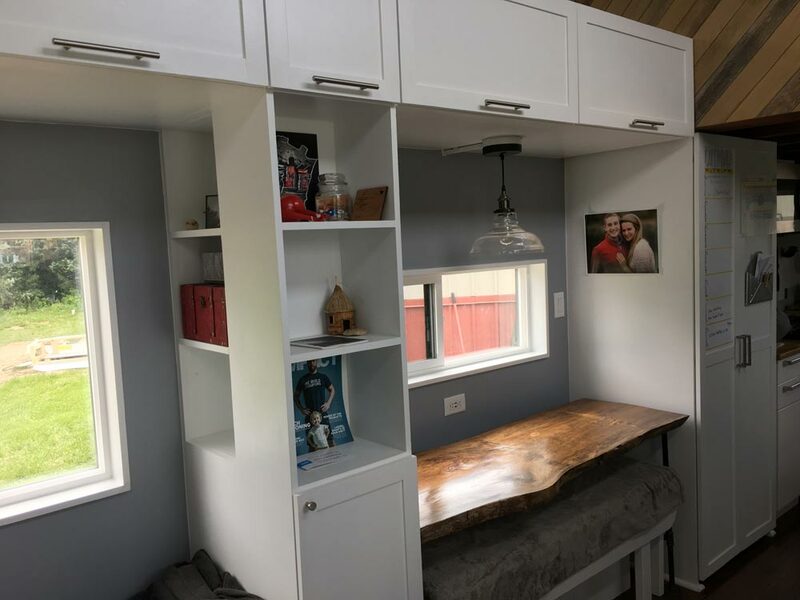 In the master loft is a built-in dresser behind the privacy wall. 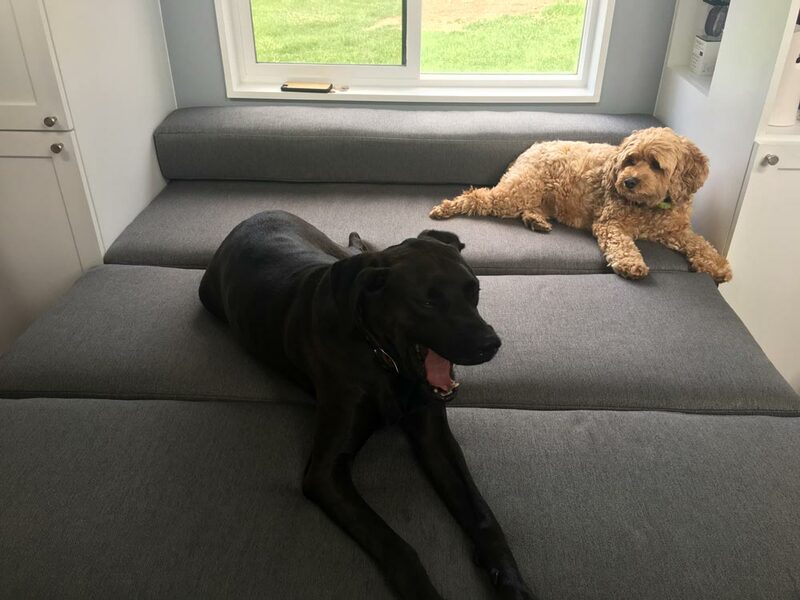 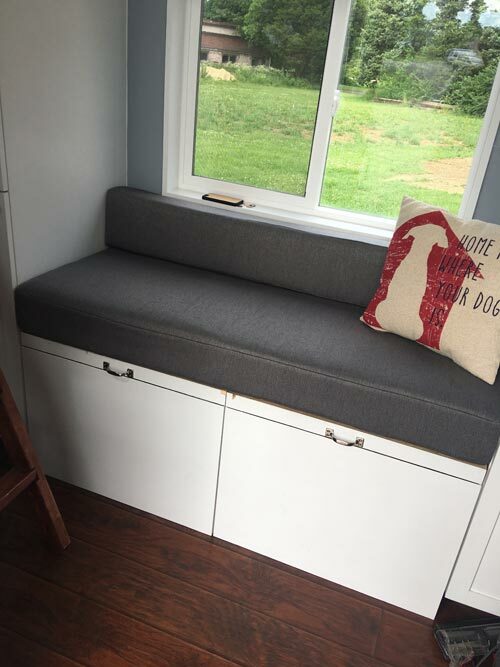 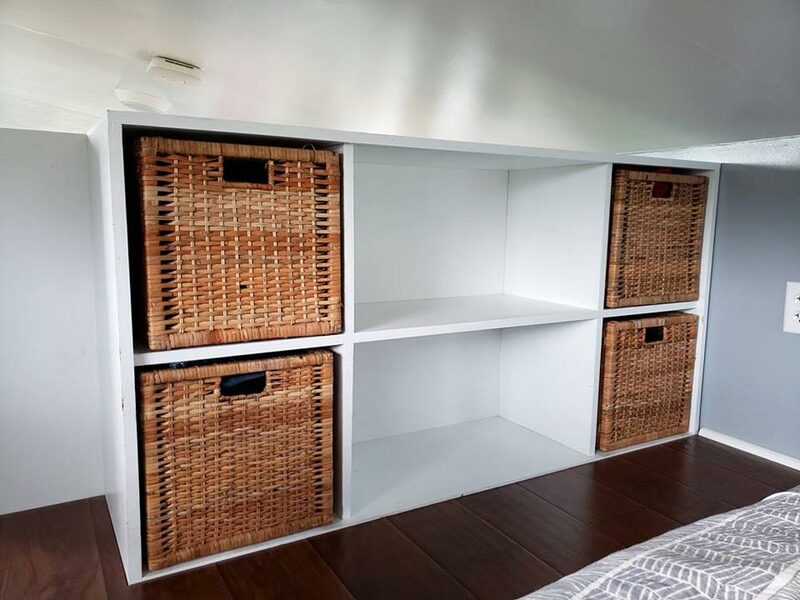 The house is pet-friendly with its small built-in dog crate and electric dog door with collar triggers. 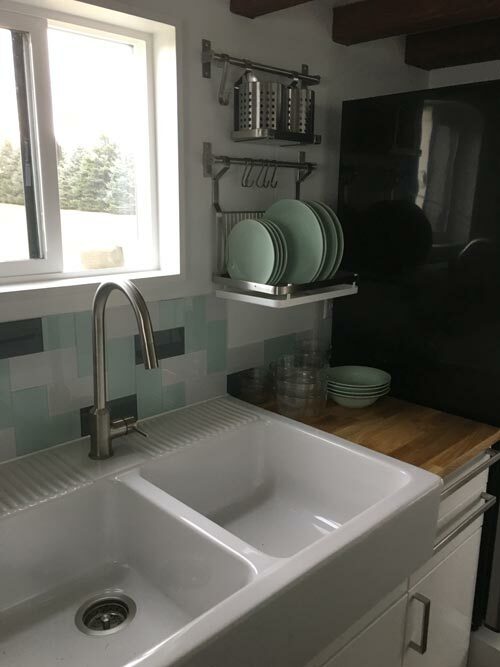 The kitchen is equipped with full-size appliances including a GE five burner propane range and oven, Samsung microwave, Danby refrigerator/freezer, and double basin farmhouse sink. 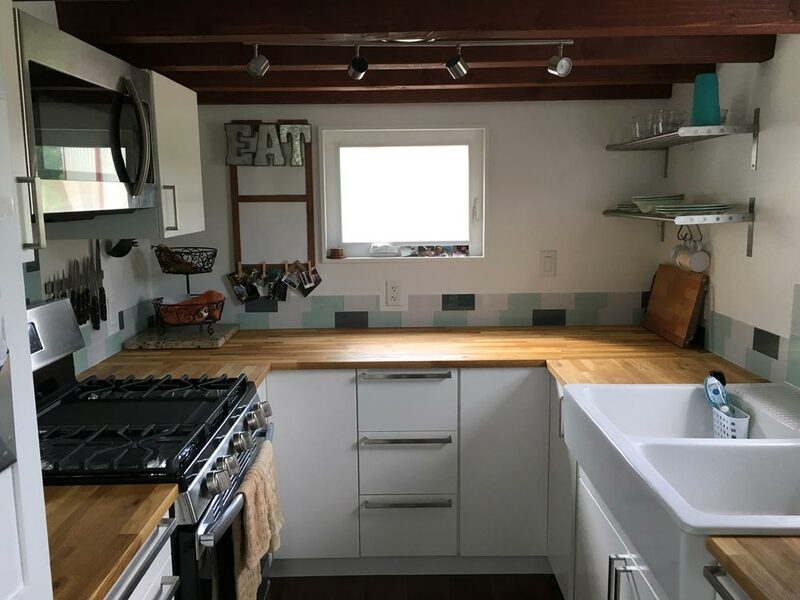 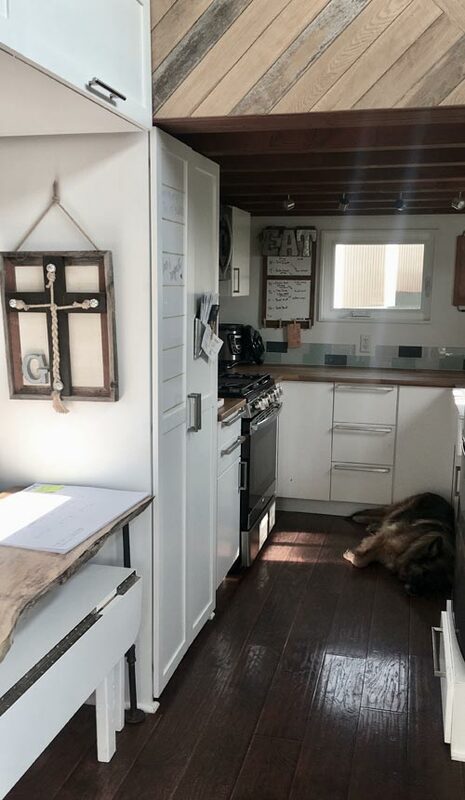 The kitchen also has a butcher block countertop and baseboard storage under each cabinet. 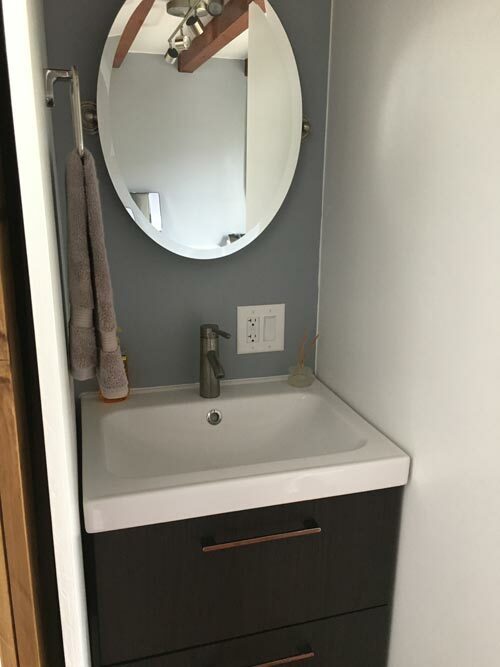 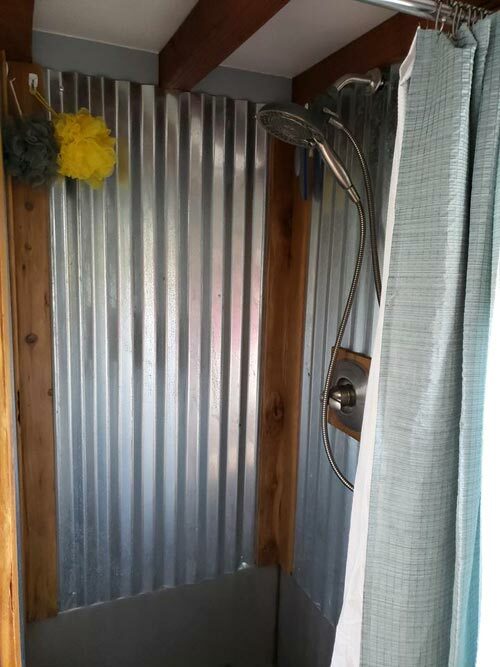 The bathroom includes a custom stainless steel soaking tub with metal surround, vanity with drawers, and Separett composting toilet. 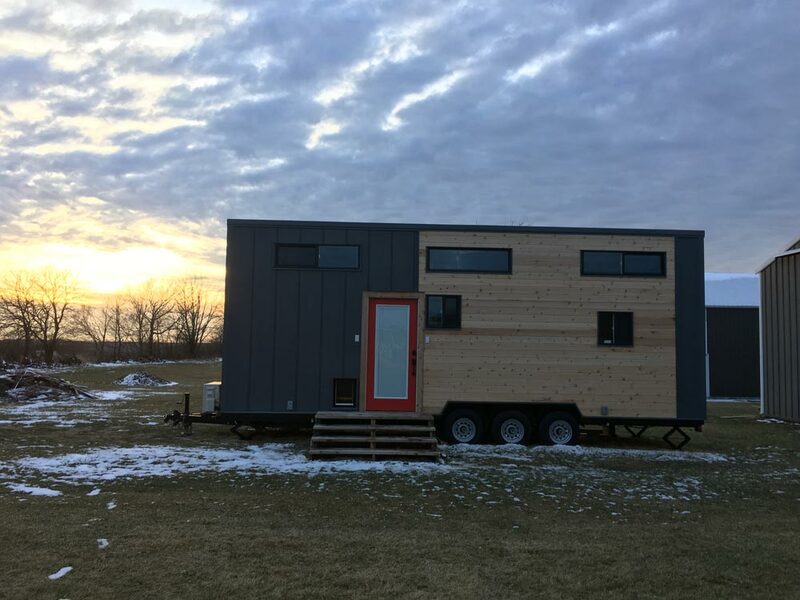 The Expedition was listed for $62,000. 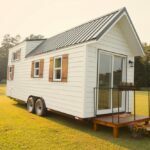 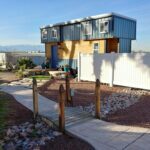 For more information about the tiny house, please contact Maverick Tiny Homes. 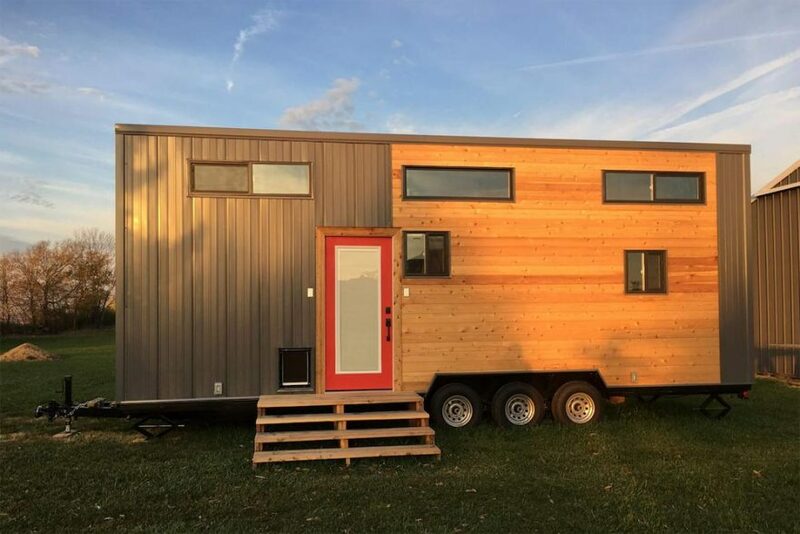 Also available from Maverick Tiny Homes: Maverick.